Pantry moths, also known as Indian meal moths, are brownish-red in color with a wingspan just under one inch. They are typically brought into homes via contaminated food and once they're in, everything in your pantry is fair game. Pantry moths munch on grains, flours, fruits, pet food, and birdseed. If your pantry is plagued with moths, you must take action immediately. One female pantry moth can lay up to 400 eggs, making your food even more susceptible once those eggs hatch. Fortunately, there are home remedies are just as effective at controlling pantry moths as chemical insecticides and are safer to use around food. Pantry moths often infest foods stored in plastic bags and paper boxes. Throw away any infested food. Empty your pantry shelves completely, throwing away any infested or potentially infested food as you go. 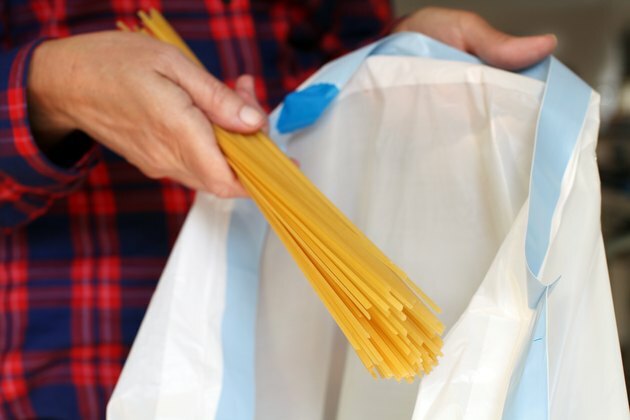 Dispose of any food that is stored in a box or bag, like cereal and flour, in case eggs or larvae are hiding there. Larvae have even been found in the grooves of jar lids. When in doubt, throw it out—and do so into a sealed plastic trash bag. Vacuum your pantry to remove unseen moth eggs. Vacuum the pantry shelves, floor, and walls to remove any eggs that could be present. Promptly replace your vacuum cleaner bag, throwing the old bag away in a sealed plastic bag. Wash your pantry shelves thoroughly. 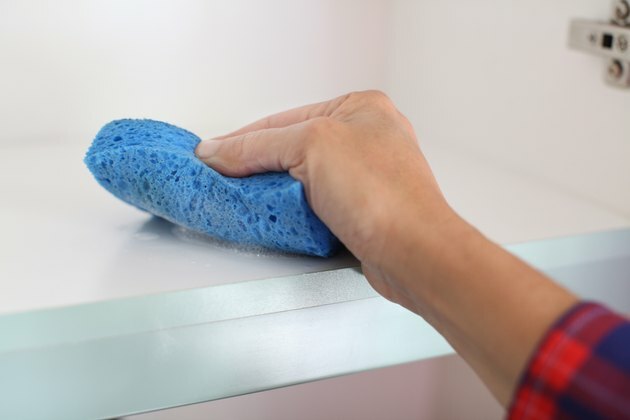 Wash all surfaces in the pantry and in the cabinets where you were storing the food. Use hot water and dish soap combined with a touch of bleach. 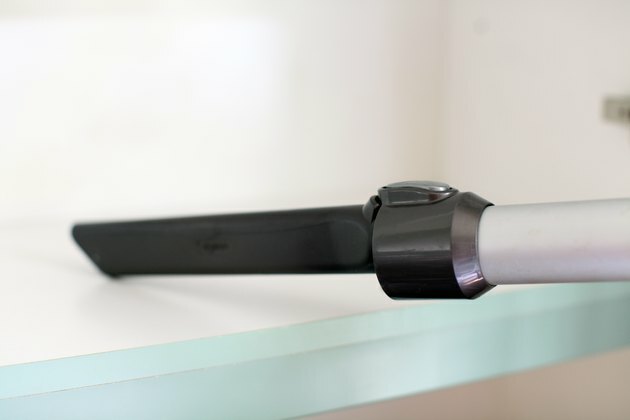 This will remove any pantry moth eggs that vacuuming may have missed. 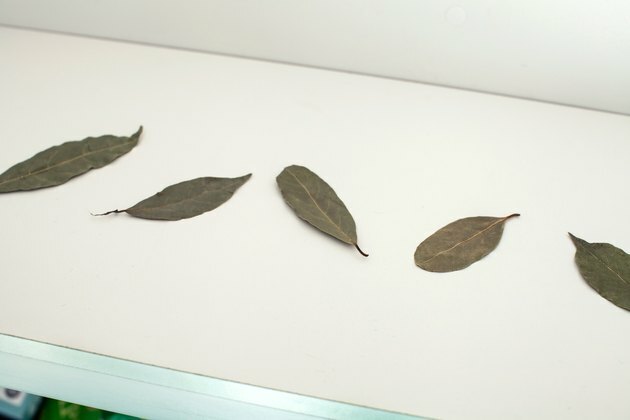 Bay leaves may repel pantry moths. Use natural herbs as pesticides. Lay bay leaves or lemon peels on the shelves in your pantry or food cabinet. You can also sprinkle cinnamon, black pepper, peppermint or coriander on the shelves. 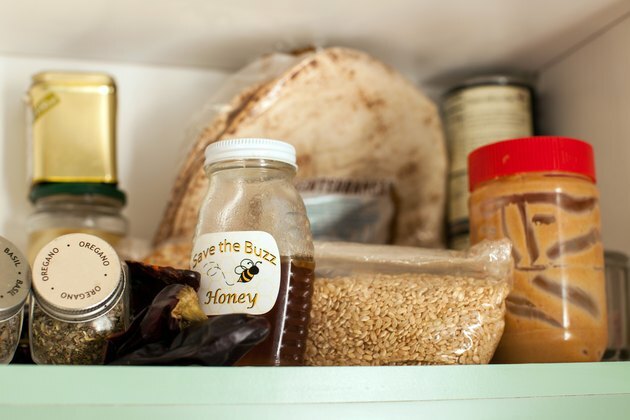 These all-natural ingredients repel pantry moths and keep them from re-infesting your food. Jars with rubber rings and metal latches work best for storing food. Wash any jars or cans you are putting back into the pantry in hot soapy water. When restocking your pantry, always place the food in jars with a rubber ring and metal clasp or in sealed plastic containers. Zip-lock bags will not work—containers must be more substantial in order to keep pantry moths at bay. Small pheromone traps help trap and monitor pantry moth populations. Install a pheromone trap in your pantry. This will draw any lingering moths away from your food and trap them to prevent another infestation. The presence or lack of moths in your pheromone trap is also a tool you can use to monitor moths. If your trap remains empty, you'll know for certain that you have rid yourself of these pests. Make sure infested trash gets to the curb. Take your trash out to the curb and wash your trash can thoroughly.